The sub-title to my blog is Mrs Smith reads books. Because I do, and have been doing so avidly, for donkeys years. Ever since I was 4 years old, when I experienced the wonder of having the words inside my head while looking at a page of print, and not having to read them out aloud: I was reading! Oh joy! And I’ve been doing it ever since. I nearly titled this blog Eclectic Books because of my eclectic reading tastes: Travel books, Fantasy, speculative fiction, poetry, philosophy, comic novels, Westerns, contemporary novels, award winning novels, biographies, South African novels, translated novels, the Classics, books about books, chick lit, thrillers, children’s books. Non-fiction: memoir, biography, essays; books on creative writing,cookery, paper collage, Tarot, Buddhism, Palmistry, Diabetes. I’ve probably left out some categories, but as you can see, my reading interests are wide and varied. I don’t enjoy reading the Romance genre, and blockbusters and crime don’t do a lot for me. Neither do play scripts. But that said – bring it on! I am a fan of the traditional book format. I enjoy the texture of paper, the different fonts, layouts, illustrations, pictures, cover art, blurbs. And another benefit is you can loan your books to your friends and enjoy great discussions afterwards. 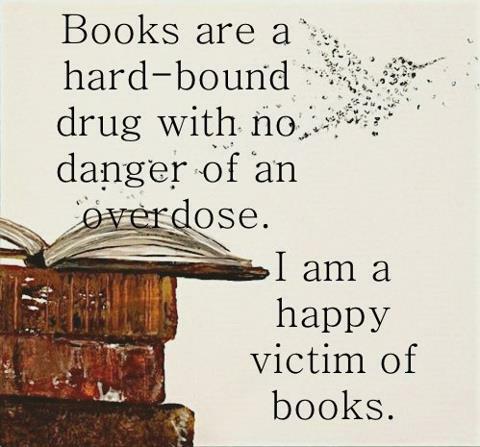 Plus books won’t electrocute you if you drop them in the bath. Just a thought. Naturally I thrive on Book Clubs and have joined many, over the years. Currently I only belong to one hosted by my local public library. Another of my frequent habitats is book sales – I do enjoy a bargain. I would love to hear from my readers, so do leave comments and suggestions. ALPHA AUTHOR LIST Albert Camus Anne Lapidus Brest Banana Yashimoto Bich Minh Nguyen Bich Minh Nguyen Brad Stone Carl Hiaasen Carlos Ruiz Zafon Eric Newby Gregory David Roberts Haruki Marukami Helen De Witt Jennifer Toth JMG LE Clezio Jo-Anne Richards June Juska Junot Diaz Michael Palin Neil Gaiman Nick Hornby Nina Sankovitch Orhan Pahmuk Rebecca Solnit Susan Gibb Susan Orlean Tim Winton Vladimir Nabokov Walter Moers WARIS DIRIE .